Over 70 Jumpman slots and casino sites have launched in the UK in the past three years. With over 600 instant win games to play on its responsive software and the chance to spin the Mega Reel for up to 500 free spins, it’s easy to see why they’re so popular. Choose your next slot site from our list of best Jumpman Gaming casinos below. You don’t need to travel to Leicester Square to get the London experience because London Jackpots is a Jumpman casino with style. Choose from hundreds of the most popular slot games like Shaman’s Dream, Rainbow Riches and Gonzo’s Quest. Sign up and deposit today for your chance to win up to 500 free spins on Starburst. Wizard Slots is an enchanting online casino filled with progressive jackpots, free spins and the best slot games around. Table game fans are also catered as you’ll find classics such as blackjack, roulette and poker. Deposit £10 or more and you’ll get a spin on the Mega Reel to potentially win up to 500 free spins! Terms & Conditions: New players only, min deposit £10, £8 max win per 10 spins, max bonus conversion £250, 65x wagering requirements. Full T&Cs apply. Why not bring the thrill of Vegas to your sofa with Big Win Vegas casino. You can play your favourite casino games on the go, with Jumpman Gaming’s responsive HTML5 software. Join and deposit today to spin the Mega Reel where you could win free spins on player favourites like Fluffy Favourites and Starburst. Buddy Slots has everything an online casino player could want. Free spins, the latest and greatest slot games and up to 20% daily cashback. If you want to join the fun, new players are given the chance to win up to 500 free spins when they make their first deposit of just £10 or more. 123 Spins is an online casino that lets you spin from the comfort of your own home thanks to its quality mobile experience. Join and deposit just £10 to spin the Mega Reel for a chance to win a prize. There are free spins and Amazon vouchers on offer – but which one will you get, if any? Incredible Spins is jam-packed with jackpots, bonuses and hundreds of the best casino games around. Whether Fluffy Favourites is your guilty pleasure or you love a spin on the roulette wheel, this Jumpman casino has everything. Deposit £10 or more to win up to 500 free spins on Starburst! Terms & Conditions: New players only, min deposit £10, £8 max win per 10 spins, max bonus conversion £250, 65x wagering requirements and full T&Cs. Lucy Casino is offering new players a chance to spin the famous Mega Reel when they deposit £10 or more. Win up to 500 free spins on everyone’s favourite slot game – Starburst! Join today to access a whole range of popular slot and casino games from NetEnt, Microgaming and Eyecon. Deposit £10 or more at Play Leon for your chance to win up to 500 free spins! New players are also treated to 31 days of double cashback and even the chance to win a pizza every Sunday. Join to discover over 500 of the most popular casino games including player-favourite Book of Oz. Easy Slots has over 500 online slot games to choose from, including huge progressive jackpot games like Microgaming’s Mega Moolah. Traditional casino players will also find plenty of classic table games such as roulette, blackjack and poker. Join today for a chance to spin the Mega Reel and win 500 free spins. Terms & Conditions: Min. deposit £10. £8 max. win per 10 spins. Max. bonus conversion £250. 65x wager requirements and full T&Cs apply. Does Jumpman Gaming own all its casino sites? Jumpman Gaming is primarily a white label provider, however it also owns and operates 12 slot and three bingo sites itself. The company launched its first in-house brand, Dove Slots, in 2016 and has since gone on to release other popular sites, including Big Thunder Slots, Cop Slots, Amazon Slots and All Star Games. 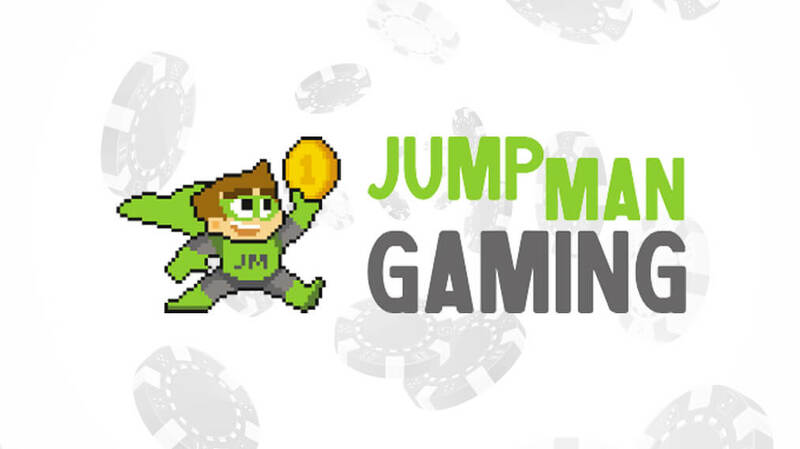 Established in 2009, Jumpman Gaming is an iGaming software company, white label provider and one of the fastest growing business-to-business (B2B) casino networks with over 100 online partners. The company offers UK casino operators a full-service package which includes customer acquisition support, player retention marketing and customer service, alongside fraud prevention and payment processing. All Jumpman Gaming sites are licensed by the UK Gambling Commission and Alderney Gambling Control Commission. But, while the company is excelling in Britain, the company has announced its intentions to expand into other regulated markets across the globe. Jumpman Gaming has two networks: 15 Network and Jumpman Slots Network. The latter was launched in 2016 and has replaced the Wheel of Slots Network (WSN), which closed its virtual doors in late 2018. There are 76 sites on the Jumpman Slots Network that have launched or migrated from WSN, including Delicious Slots, Mega Reel and Barbados Bingo. All sites across the two networks host slot games and a small range of bingo rooms including a £1k Pay Day Jackpot room and free bingo including a room exclusively for VIP players. The slots network has a variety of integrations from big-name providers including Netent, Blueprint gaming, Microgaming, Red Tiger, Pragmatic Play, Scientific Games. You’ll find player favourites such as Rainbow Riches, Book of Oz and Fluffy Too, as well as huge jackpot games like millionaire-maker Mega Moolah. Nowadays, the only difference between the 15 Network and Jumpman Slots network is that sites on the former have ‘bingo’ in their domain. All Jumpman Gaming casino sites have the same welcome offer – a chance to spin the Mega Reel. When you make your first deposit, and any subsequent deposits, you’ll receive a spin on the Mega Reel which determines your bonus. The prizes include 20-500 free spins on a popular slot game or an Amazon shopping voucher. There is also a ‘Spin Again’ space where you can try your luck again and also an ‘Unlucky’ option where you won’t receive any prize. The slot games on offer vary, however, the mechanics are the same across the network. Overall, the welcome offer seems generous and you could win an impressive amount of free spins. However, all free spins are subject to steep 65 times wagering requirements and a win isn't guaranteed. The Jumpman Gaming VIP scheme is straightforward and transparent compared to the complicated programmes on offer elsewhere. There are five VIP levels to move between, based on the number of Kudos points you’ve earned: Newbie, Expert, Pro, VIP and Legend. Another VIP incentive is the trophies. You can collect trophies by achieving set tasks such as playing on your mobile phone, depositing using PayPal and playing games between 6am and 10am. Every five trophies unlocked moves you up one level and earns you more spins on the Mega Reel. The higher your level, the better the prizes and the more spins you’ll get. Levels 1-5: You can win 5+ Free Spins. Levels 6-10: You can win 10+ Free Spins. Levels 11-15: You can win 15+ Free Spins. Levels 16+: You can win 20+ Free Spins. It’s worth noting that you can only have a maximum of three unspun Mega Reels and if you get any more, they won’t be credited to your account. We recommend that you use them as soon as they’re in your account because you may unlock another trophy without realising. If your VIP level is Expert or higher, you’ll benefit from up to 10% daily loss cashback credited to your real money balance. Cashback is calculated as your daily deposit, minus withdrawals, minus your current balance. The total is then multiplied by your cashback percentage. Every Sunday, the top wagering player from each VIP level wins a £15 Pizza Express e-voucher. Only slot game wagers made on the Sunday count towards the promotion and the e-voucher is credited the next day. Players who collect 200 trophies from a Jumpman slot site are rewarded with a £10 Amazon shopping voucher. If you deposit £100 or more, you’ll have a chance to unlock the Turbo Reel. It works exactly like the Mega Reel, but the winning segments are increased to 50 or 500 spins on popular slot games like Starburst and Fluffy Favourites. Funded players are awarded a Mega Reel spin if they log in between 3pm and 7pm every Wednesday. The Mega Reel prizes are the same as the welcome promotion with up to 500 free spins on offer. Jumpman Gaming has a new partnership with content provider PariPlay, bringing hundreds of new games to Jumpman sites! New slots site Slots Gold is now live through Jumpman Gaming, and there are some hefty welcome bonuses up for grabs. Join the hunt for gold inside!